Michael O’Donnell is CEO of the Art & Science of Health Promotion Institute. He is also founder of the American Journal of Health Promotion, founder and program chair of the Art and Science of Health Promotion Conference, and founder and chairman emeritus of Health Promotion Advocates. 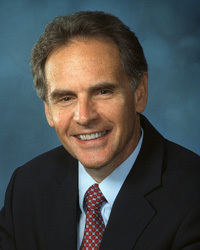 He has worked directly with more than 150 employers, health care organizations, government agencies, foundations, insurance companies and health promotion providers to develop and refine health promotion programs, products and policies, and has served in leadership roles in four major health systems, including the Cleveland Clinic, as well as serving as the Director of the Health Management Research Center at the University of Michigan. He has authored more than 200 articles, book chapters and columns, books and workbooks, including Health Promotion in the Workplace, which has been in continuous publication since 1983, updated into 5 editions and translated into four languages. He has presented more than 300 keynote and workshop presentations on six continents, served on boards and committees for 49 non-profit and for-profit organizations and received 15 national awards. He conceived and authored legislation that was incorporated into the Affordable Care Act, including provisions that resulted in production of the annual National Prevention Strategy. He earned a PhD in Health Behavior from University of Michigan, an MBA in General Management and an MPH in Hospital Management, both from University of California, Berkeley, and an AB in psychobiology from Oberlin College. He attended high school and was later a Senior Fulbright Scholar and visiting professor in Seoul Korea.